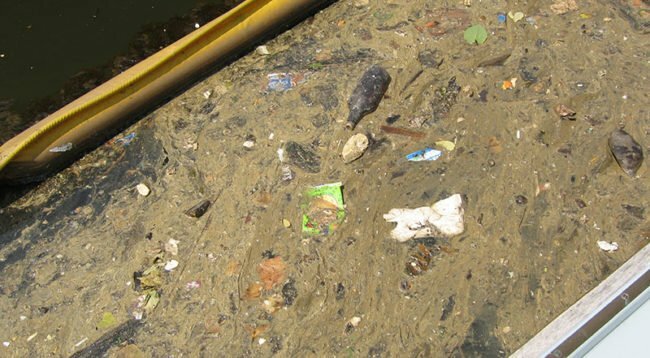 Each year, New York City discharges more than 20 billion gallons of raw sewage into local waterways. That’s enough to fill the Empire State Building 72 times! Our biggest challenge in fighting this pollution is a general lack of knowledge about the failing sewer system, which allows our elected representatives to ignore the problem. It’s time to #CutTheCrap! Riverkeeper and partners are announcing a new website to help push New York City to clean up its act. Go to cutthecrap.nyc and find out how you can help stop sewage pollution in New York City. And follow @CuttheCrapNYC on Twitter for updates. Join us on Tuesday, April 16, to hear from the New York City Department of Environmental Protection about its proposed sewage controls for open waters throughout the city. This is our chance to demand that New York City “Cut the Crap“! Michael Dulong joined Riverkeeper in May 2012 as a staff attorney with the Watershed Program. His work focuses on a range of watershed protection issues, including monitoring agency compliance under the New York City Watershed Agreement; ensuring the operation of New York City’s reservoirs and infrastructure has minimal impact on local ecosystems and communities; and investigating and developing citizen pollution complaints. He also performs advocacy for Riverkeeper’s campaign to prevent irresponsible industrial gas extraction and development in New York with a particular focus on gas development’s adverse socioeconomic impacts.